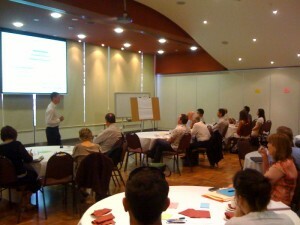 In late 2009, Manningham City Council committed to holding a Peak Oil Workshop and this was held on 4th February 2010. The workshop’s aim was to improve Council’s understanding of oil depletion and what it means for local government. This report is designed to capture the key messages that emerged from the half day workshop. Phil Hart of the Institute for Sensible Transport provides an overview to Council staff on oil depletion. One of the key outcomes from the workshop was the need for Council to develop a framework and action plan to manage the risk to Council business that oil depletion represents.